I loved seeing this challenge last year and I am excited to take part this year! 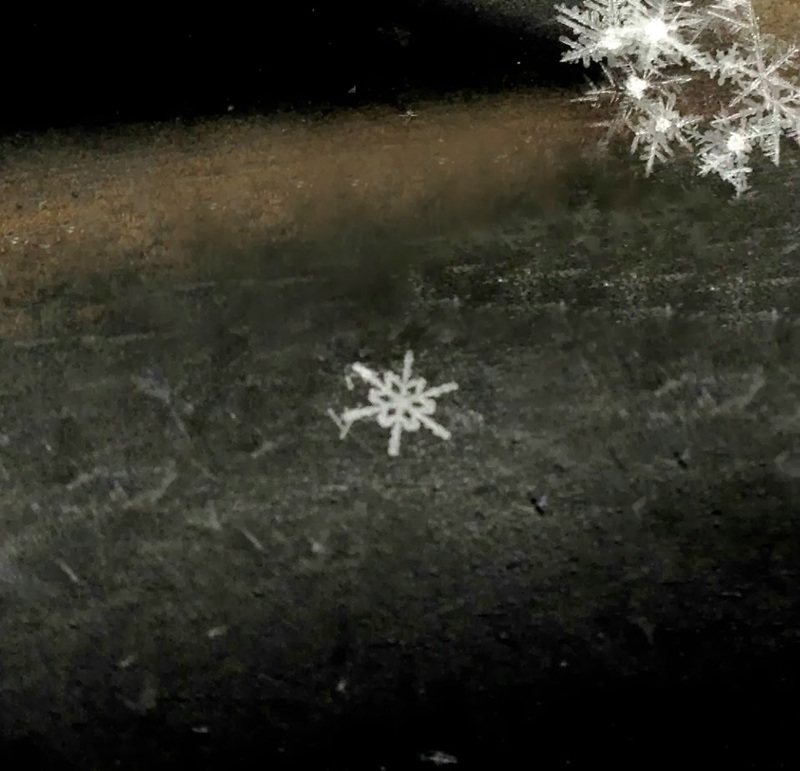 This snowflake idea as a single subject is easier said than done, particularly when it's snowing 1-2 inches per hour! LOL! I took a TON of photos with my fancy camera and my point & shoot camera over the course of our two day Nor'easter. But the funny thing is, I got the best one from my phone when the storm had quieted a little and I was out running an errand! More from my phone on my car! I thought if I was quick I'd be able to catch just one flake. This only happened on my car after a few attempts. Earlier in the day I couldn't snap fast enough to get just one! But the task was addictive and mesmerizing!! I took about 600 photos on Thursday morning and spent way too much time zooming in and admiring the beauty Mother Nature bestowed upon us! Check out this little flower flake!!! That is so cool! 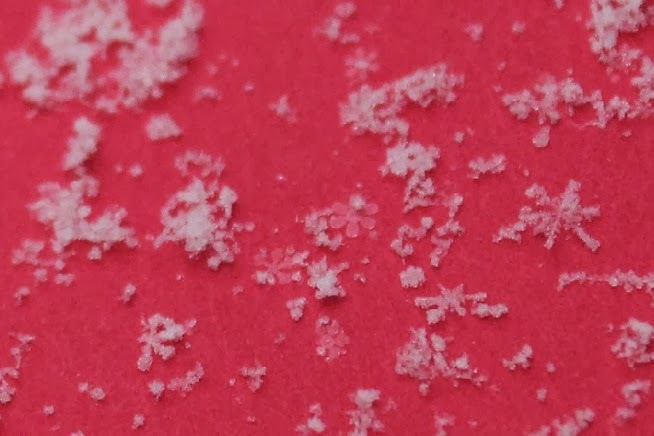 I didn't know you could get a zoom in on a snowflake! Beautiful pictures!!!! I wanted to get some close up shots too but it was just too cold and windy. How much snow did you get up there? We have at least 15" or more. That was some storm; glad our power never went out. Beautiful photos! I didn't know it was possible to capture snowflakes like you have. Thank you! I love these photos, great job. I can't imagine I would get close to this even if I took twice as many as you did! I love the idea of trying to catch a single of snow flakes. Great pictures. Wow, What a task you set for yourself! Great shot of a single snowflake! What fun photos! I know how easy it is to get pulled in and take a ton of pictures trying to get the perfect shot. You did good! Gasp! Amazing shots! We almost never get snow at our place and I do miss it so. Great snow shots, it looks like you had fun capturing them! That phenomenon hasn't been seen here yet this year. I cannot believe these are real snow!! They are just too, too perfect - stunning photos! You definitely had fun... I felt obliged to wash my floor between my first set of photos and the one I used... the dust bunnies were very photogenic! The ones on the black background are lovely! Oh wow, these are all just awesome!! Great captures. They are so absolutely beautiful, aren't they? Each one perfect. I can see how you'd be mesmerized by them and how trying to capture one, or all of them, in a photograph would be extremely addicting! I would never have thought of a single snowflake. That is a great idea. Amazing photos. It sounds like you had fun. I left NJ many years ago, to get away from snowflakes (and black ice), but your photos have me wishing for them again. Happy New Year! What a great idea! These are unique photos! I have to admit that as much as I don't like snow, I do love the delicate, crystal-like shapes of individual snowflakes. I guess you have to balance the good with the bad somehow. Thank you for sharing all these beauties with me so I don't have to worry about going somewhere where it snows to see them! What a fantastic idea and a beautiful collection of photographs - just perfect!